The Napster name, once synonymous with illegal music sharing, is now respectable enough to carry the flag for one of the oldest names in paid music streaming. Rhapsody will soon change its name worldwide to Napster, the venerable listening service said in a post on its site Tuesday. It already uses the Napster brand in Europe. 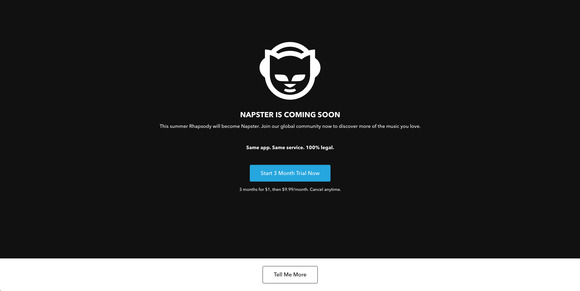 “Napster is coming,” the post said. “No changes to your playlists, favorites, albums, and artists. Same music. Same service. Same price. 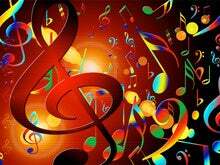 100% the music you love. Stay tuned!" The name change in the U.S. could be another attempt to catch up to Spotify, which recently passed 30 million subscribers. Rhapsody said late last year it had about 3.5 million. Napster began in the late 1990s as a service for sharing and downloading mp3 music files and quickly attracted a large following, especially among college students. The Recording Industry Association of America sued the company for copyright infringement in late 1999 and won an injunction that shut Napster down in 2001. A series of acquisitions by companies including music publisher Bertelsmann and retailer Best Buy put Napster on a path to respectability, but it also faded amid the growth of legal music stores like iTunes and then streaming services like Spotify. Rhapsody, which has been around since 2001, bought Napster in 2011 and set out to replace Napster’s brand with its own in the U.S. Later it bought Napster International to expand into Germany and the U.K., where it decided to keep the Napster brand. With the latest change, that moniker has won out. A formerly infamous brand now seems to carry more clout than one that once was almost famous.